Strider has an awesome, laid-back personality. He loves attention and will come for a pat and a hug regularly. 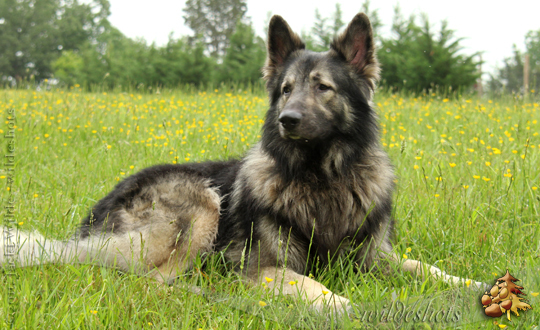 Although a very big boy, he is very gentle-natured. He puts up with Ariel "beating" up on him until she gets too rough and then he just puts her on the ground and walks away. At Shiloh get-togethers, he is the one that people bring their dogs up to for socialization. He participates in conformation shows. 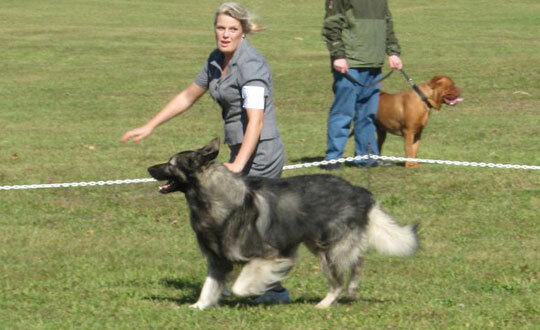 He always receives lots of compliments and attention outside the show ring as well. Strider has now completed his health testing and has passed all with flying colors. 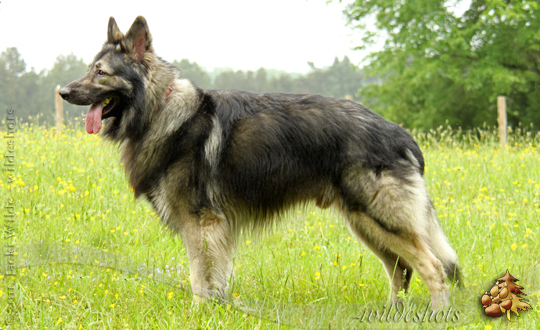 He has been bred one time and sired one puppy via AI. 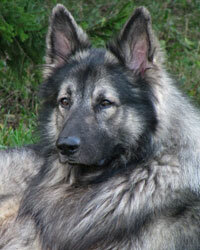 Strider is now available for stud to selected females. He can be available for natural tie, fresh chilled or frozen. Please fill out the Stud Interest Form if you are interested in finding out more about using Strider in your breeding program.